It’s time to consider the amount of pet-themed collections taking over all the fave cool-girl brands right now. 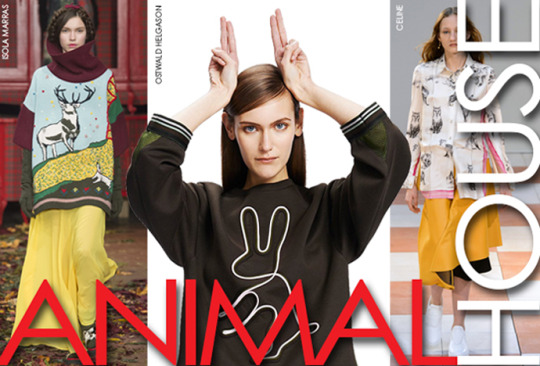 Animal-inspired fashion is the most unexpectedly awesome trend for this winter 2015-2016. This season it’s a true zoo. Fashion loves animals. Not only hungry tigers or maculate patterns (which are as classical to fashion as a little black dress LBD). But for some reasons, tender pets – like bunny, cats, graceful birds, foxes, deer – are the most popular “darling” within the trend. Find more “ANIMAL” images on TrendForTrend.